The Color imageCLASS MF8180c will generate impressive, cost-effective color documents that will elevate your company's professional appearance. Your color copies and prints will be made at 4 pages-per-minute, and black and white documents will print and copy at 20 pages-per-minute. With a 375-sheet total paper capacity and the 50-sheet Automatic Document Feeder, copying, printing and faxing are done with ease. Your scanned image color will be true to the original. You will achieve remarkable tone-on-tone clarity with 1200 x 2400 dpi 48-bit* CCD technology. Scanning text is also simple and accurate with the included OCR (optical character recognition) software. When your office needs a single business machine that produces documents with beautiful color and speed, meeting the demands of today's fast-paced environment, choose the Color imageCLASS MF8180c. 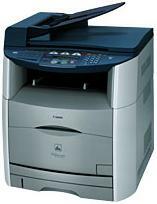 It provides outstanding Color Copying, Color Printing, Faxing, Color Scanning and Network Capabilities for printing and faxing. It is the essential color laser solution for every small office that demands professional results.